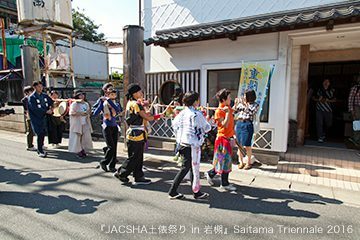 Founded by three composers Sachiyo Tsurumi, Makoto Nomura and Tomoko Momiyama, the Japan Association of Composers for Sumo Hearing Arts (JACSHA) conducts research on the folk rituals as well as the professional practice of sumo and listens to it (Sumo-Hearing),in order to create new forms of art. 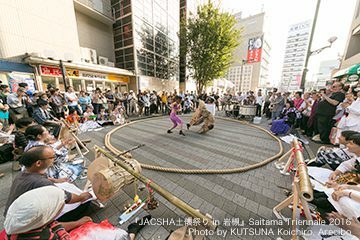 For the second year of the five-year plan to produce an opera on the legendary sumo wrestler “Futabayama,” they will work on creating a foundation necessary for further collaboration with directors, playwrights, dancers, and so on. This opera, scheduled to be completed in 2021, will transcend the classical form of Western opera and integrate a variety of performing arts from all ages and cultures. 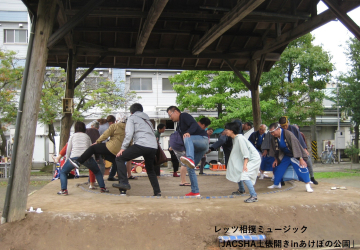 During the residency,JACSHA will research about the folk tradition of “Nettei sumo,” which has been passed on in Yabu city, next to Toyooka City. They will also hold "Nice to see you!! 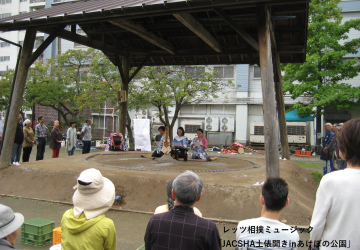 concert" to the local citizens.